Kid-friendly medication flavoring system is now part of the curriculum in majority of schools of pharmacy in the United States. FLAVORx, the company behind the pediatric medication flavoring service found in most U.S. retail pharmacies, recently donated it's 100th pediatric medication flavoring system to a pharmacy school in the United States. Pharmacy schools that now incorporate a flavoring lab into their curriculum include the likes of the University of Maryland School of Pharmacy, Harding University College of Pharmacy, Creighton University School of Pharmacy and Health Professions, Lake Erie College of Osteopathic Medicine School of Pharmacy and the University of Missouri-Kansas City School of Pharmacy. In addition to a thorough curriculum on the physiology of taste and taste masking, the schools receive a carbon copy of the medication flavoring system found in over 40,000 retail pharmacies today. This includes access to the company’s proprietary flavoring formulary, which provides the custom flavoring instructions for hundreds of different liquid medications. 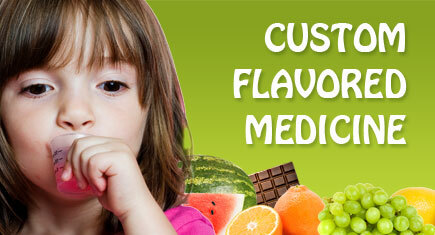 FLAVORx first began donating their pediatric medication flavoring systems to pharmacy schools in August of 2010. Prior to this, the first exposure a new retail pharmacist had to pediatric medication flavoring typically came on the job. Recognizing there was an opportunity to provide these pharmacists with better training in the controlled environment of their pharmacy school, FLAVORx began reaching out to a few colleges to gauge their interest. Less than two years later, FLAVORx flavoring systems are currently used in 100 schools of pharmacy. 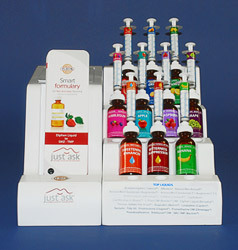 The company has a goal of providing a flavoring system to every pharmacy school in the country by the end of 2012. FLAVORx is a medication compliance solutions company based in the Baltimore / Washington, D.C. area. They have been helping pharmacists help people take their medicine since 1994. Using FLAVORx's copyrighted flavoring recipes, pharmacists have safely flavored over 47 million prescription and over-the-counter medications for children, making it easier for them and their parents to deal with the stresses of being sick. Pill Glide, FLAVORx's newest product, expands their medication compliance focused offerings and continues the company's mission of improving lives and health-related outcomes through higher adherence. For the latest company news, follow FLAVORx on Facebook.